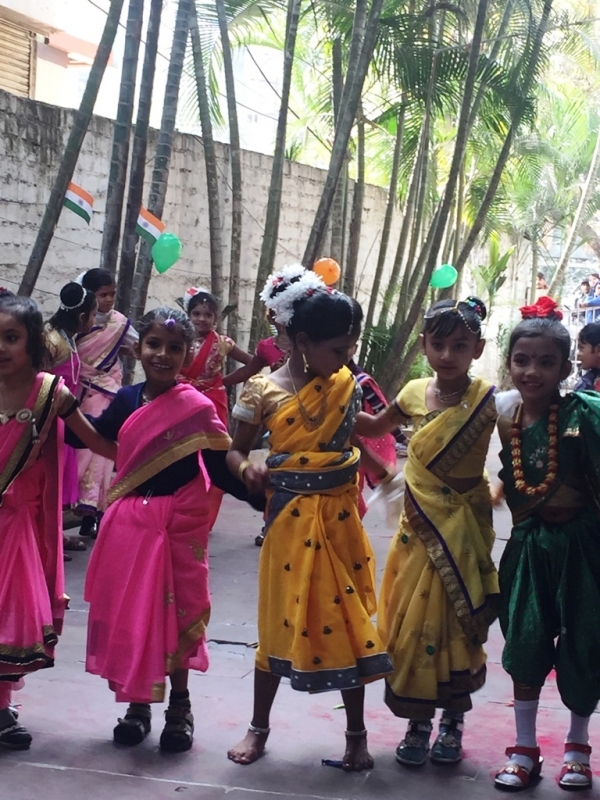 On this auspicious morning of 26th January, our school celebrated republic day in the school premises. It was a matter of great pride for all of us. The students and the entire staff didn’t want to leave any stone unturned in making this monumental day a memorable one. 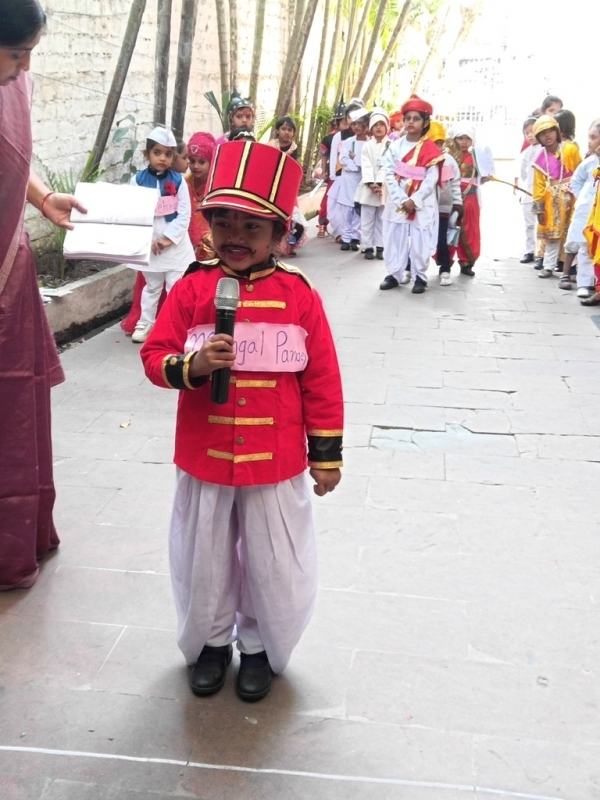 The event started on a musical note where some students sung a song “saare jaha se achha” Then, there was march past done by students of class 4th . 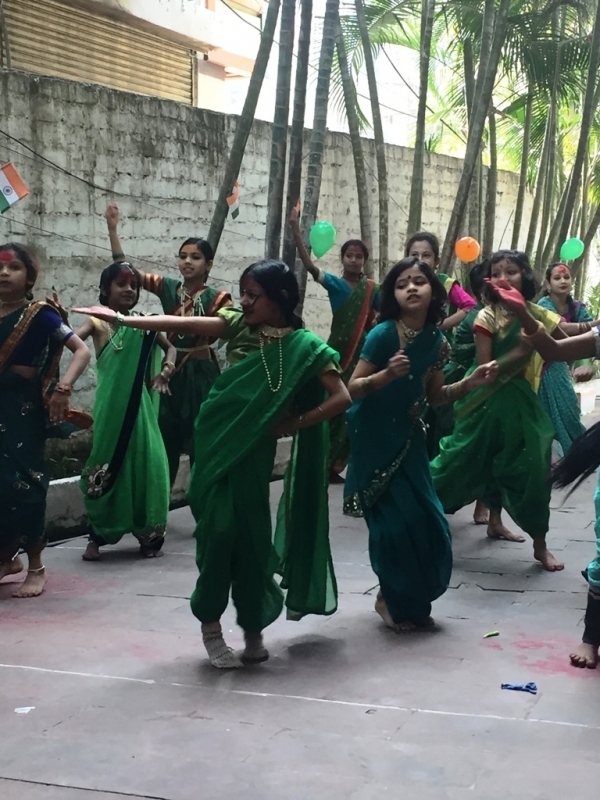 The cultural items included patriotic songs, folk dances of Rajasthan, Punjab, Assam, Bengal and Maharashtra and speeches. 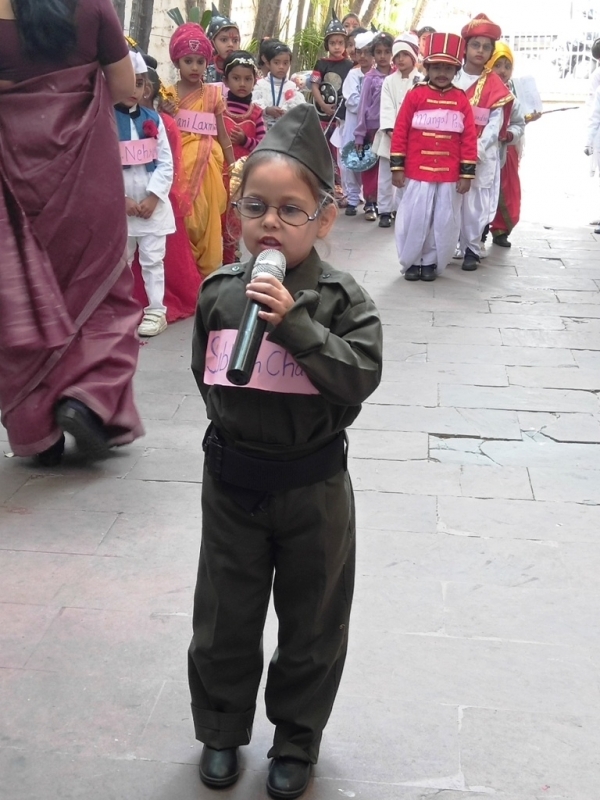 Some students also presented a skit based on fight against terrorism. The message of the skit was to convey the strength and bravery of our soldiers with which they fight to keep country safe from terrorists. There were speakers who through their speeches invoked the precious contribution of great freedom fighters. 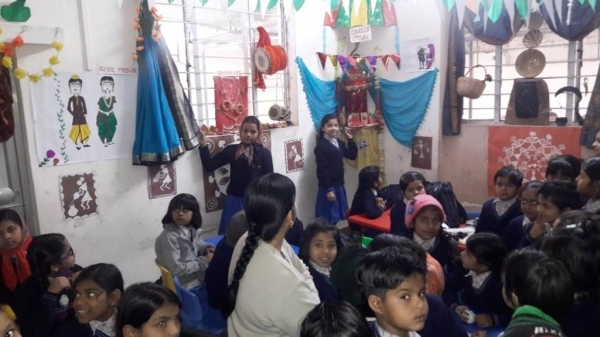 The main highlight of the celebration was our classrooms which were decorated on the theme of different states of India. 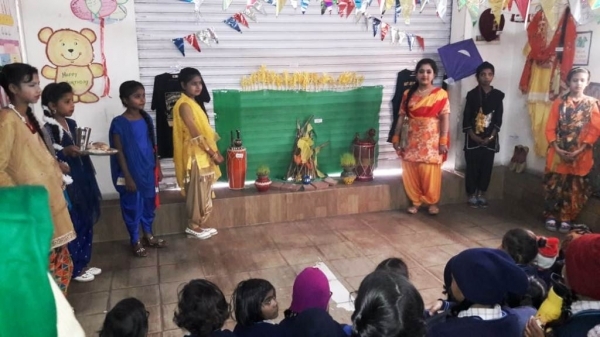 The class teachers worked hard to depict the culture, traditions, costumes, food, dance, language, festivals etc. 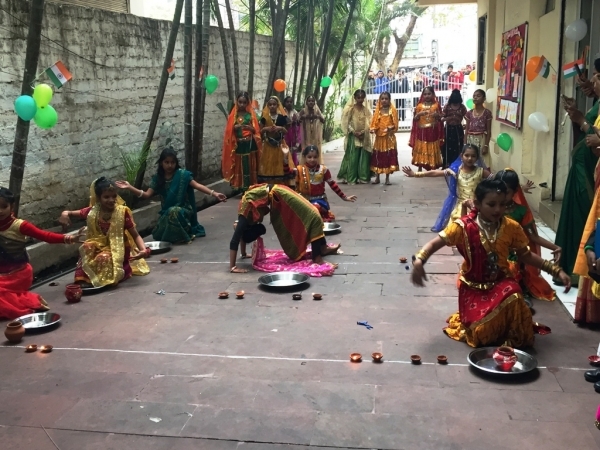 of different state like Punjab, Maharashtra, Assam, Rajasthan and Bengal Needless to say, the whole school had worn the appearance of a beautiful bride. 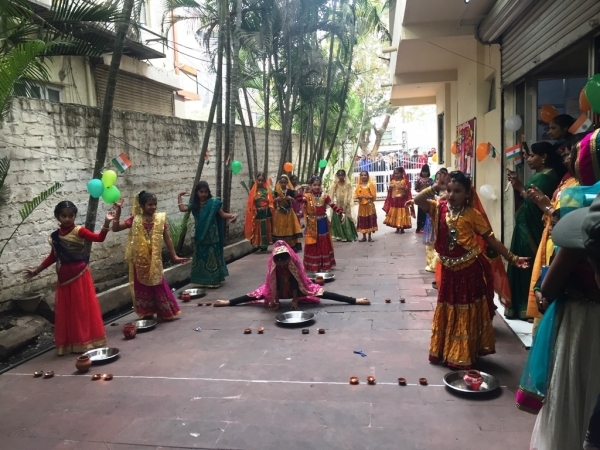 The programmed ended by singing the National Anthem and distribution of sweets.